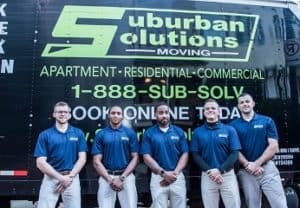 What type of payment do movers accept? Each location may vary slightly in how they accept payment for a move but generally speaking, we accept: cash, personal check, money order, company check, or credit card. Cash: Some offices elect to not accept cash payments as a security measure to prevent and potential loss or theft. Checks: The default policy is to accept personal checks up to $2,500. Any bill over $2,500 would require a backup credit card approval or a bank or certified check. Check with your local office for the final rule in your area. Should I tip my movers? You are NEVER expected to tip, and our movers never ask. While gratuities are customary and greatly appreciated, they are not required. Our crews work very hard and try their best to complete every job to the customer’s satisfaction. This is our number one concern. Tips are a great way to show that you appreciate the movers’ attention to detail, diligence and effort. Is there a cancellation fee for my move? This policy can vary by location. The typical rule of thumb is that moves cancelled within seven days of your scheduled date are subject to a cancellation fee equivalent to your deposit or your truck fee. Is there a fee to change my date? If a date change is required with in seven days of your move, a fee may apply. Consult with your local office for their policy. We will do our best to reschedule your move as we understand that things can change last minute. But please keep in mind that last minute changes to move dates make it hard to fill in your originally scheduled date. Our crew members rely on these hours for a living so we request that date changes be made as far in advance as possible to avoid any fees or lost jobs! Truck Fee: includes mileage, fuel, furniture pads, dollies, straps, etc. Hourly Labor Rate: is based off the size of the crew and is prorated by the minute after the first 2 hours, so you’ll never pay more than the exact time we work. Long Distance Jobs are a flat rate and all inclusive. Any additional surcharges will be outlined for you in detail. If there are any additional charges on moving day, it would be in response to changes to the load / unload conditions or the inventory. Your crew leader will bring these to your attention immediately and you can always consult your local office for a final say.